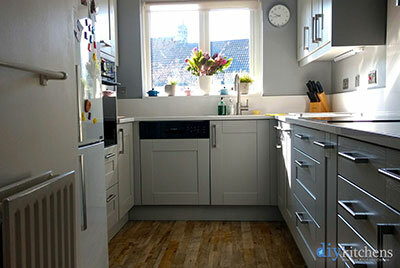 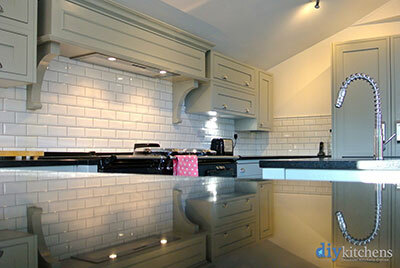 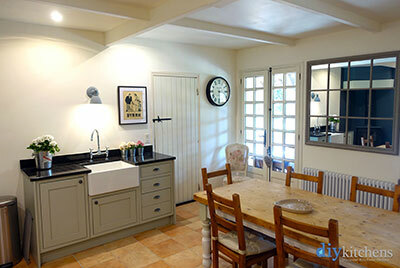 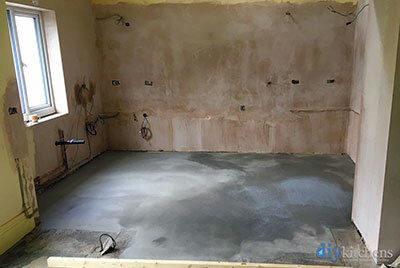 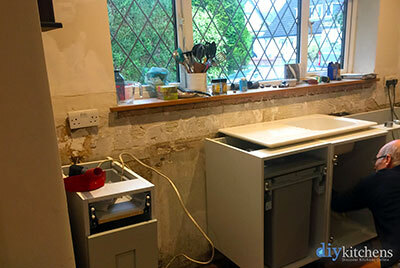 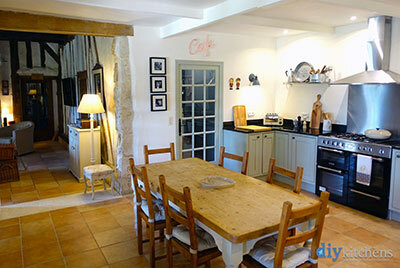 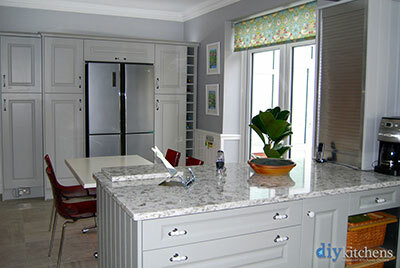 Caroline from Surrey "Attached are photos of our kitchen. 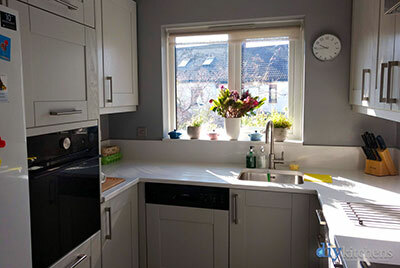 The transformation is amazing. 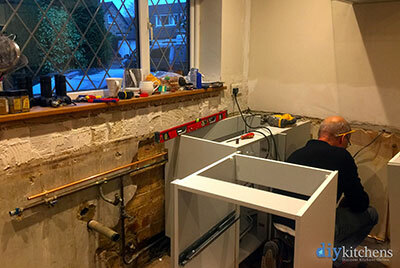 Garry working hard to finish kitchen before Christmas. " Nick & Samantha from Pontefract "We cannot thank you enough for our new kitchen. 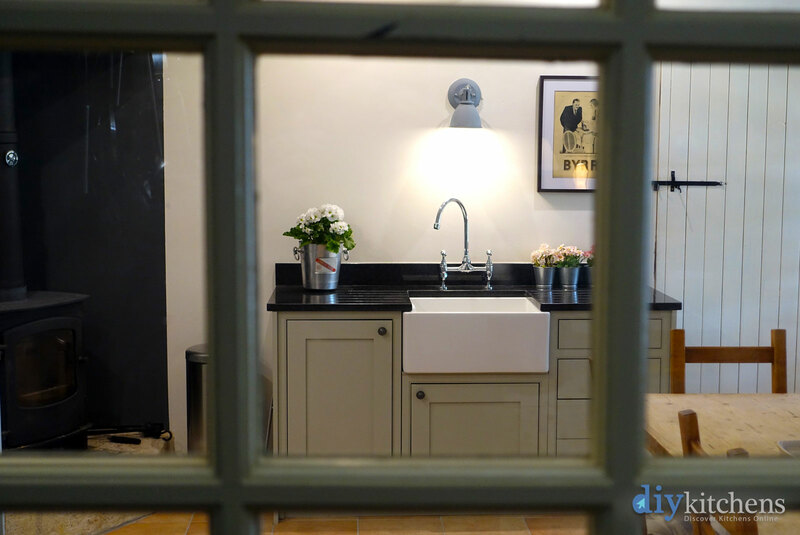 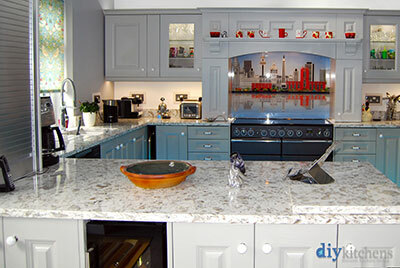 We had been recommended by a few friends to visit your showroom and we are so pleased that we did. Every member of staff was so very helpful on each visit and we did visit a lot! We are truly grateful for their help. 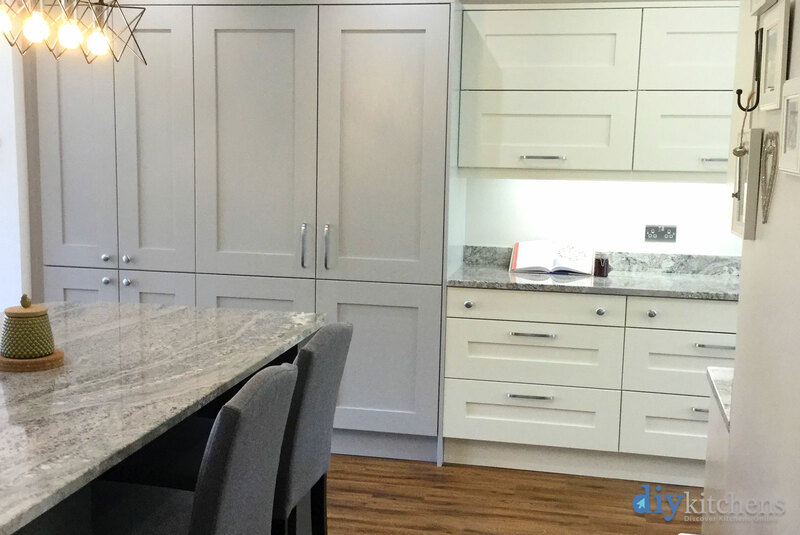 We are very pleased with the quality of the units and doors which are the Norton range in Carbon, Alabaster and Light grey. 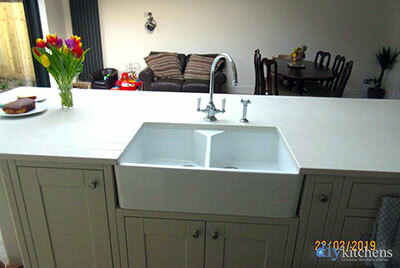 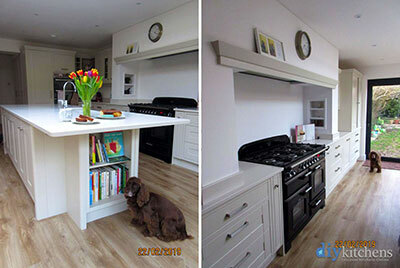 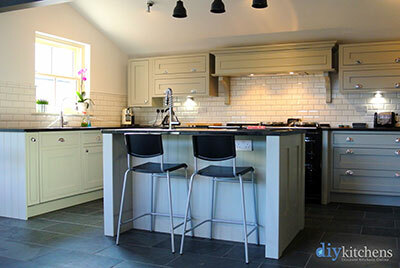 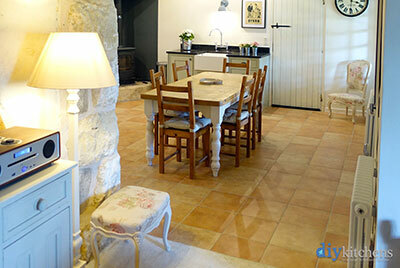 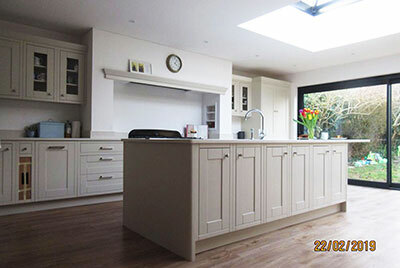 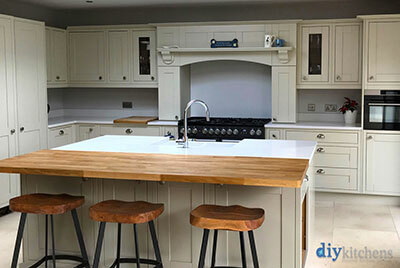 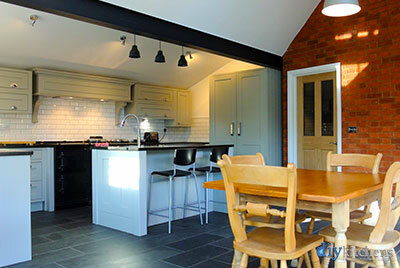 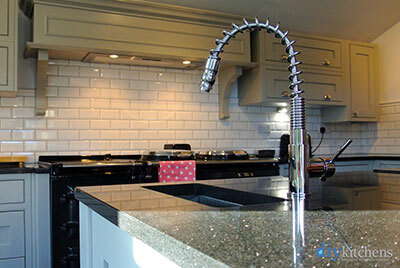 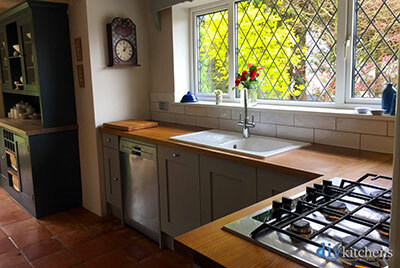 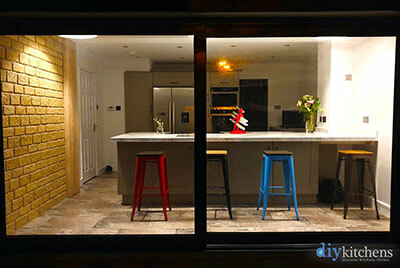 Our kitchen fitters said they were the best quality units they had fitted and they fit kitchens day in day out. 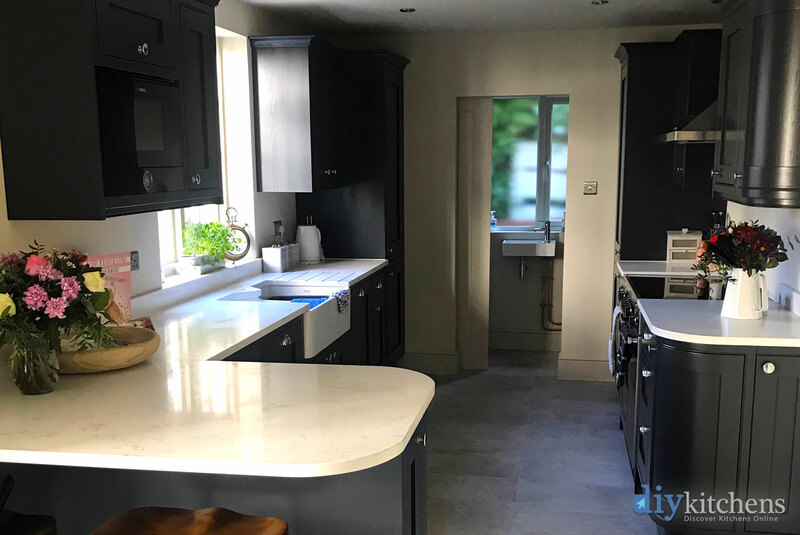 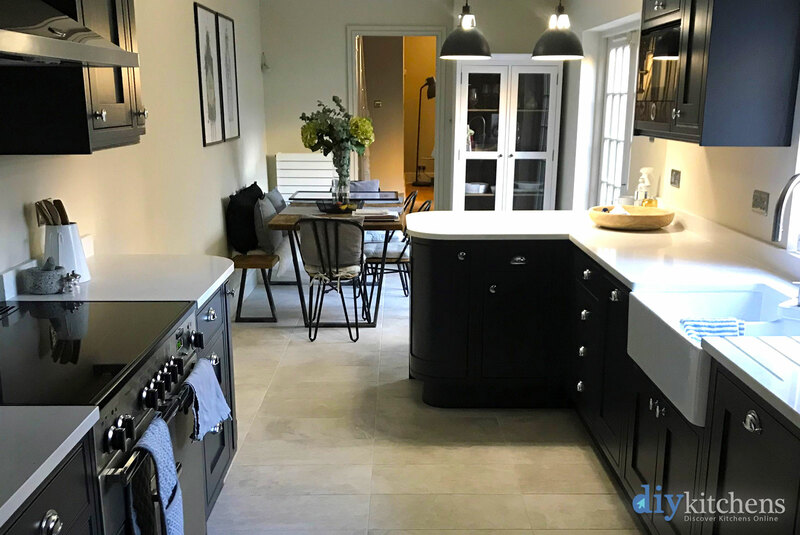 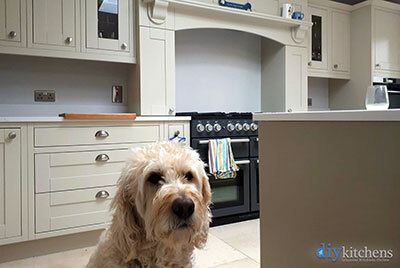 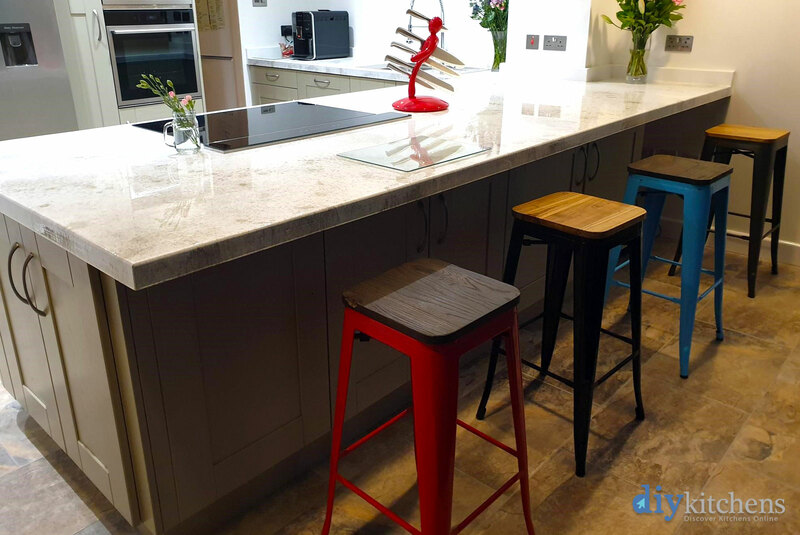 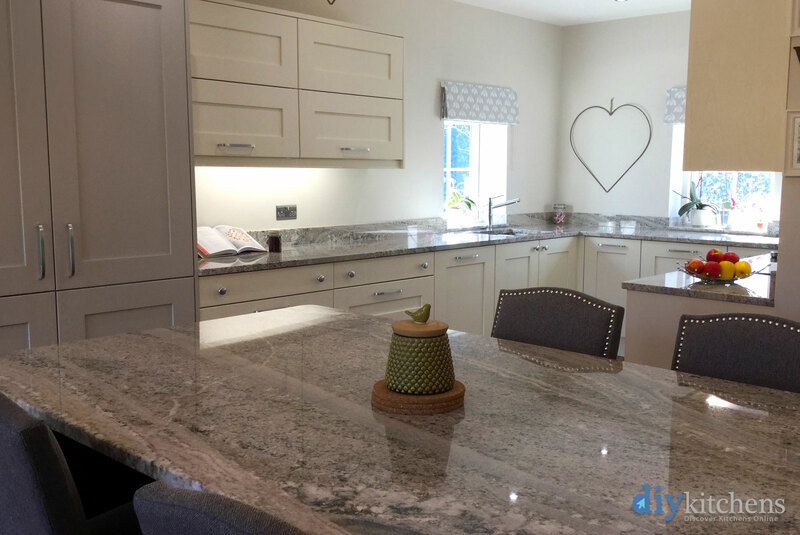 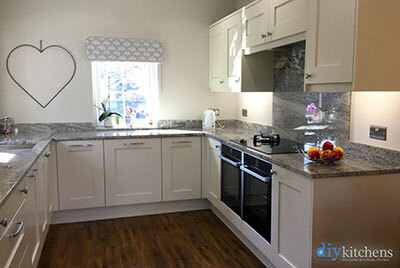 Our worktops are Crystal blue granite and we were able to go to your supplier and choose our own slabs of granite which was amazing and well worth doing as there is so much choice and they look amazing. 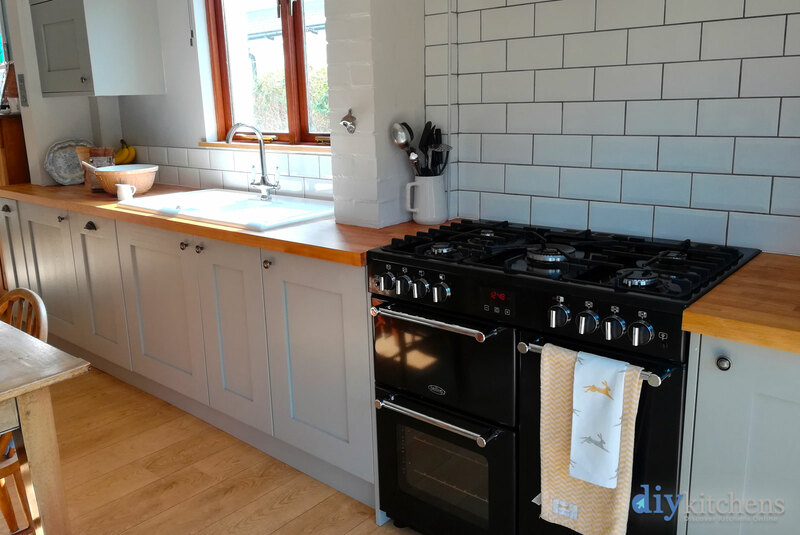 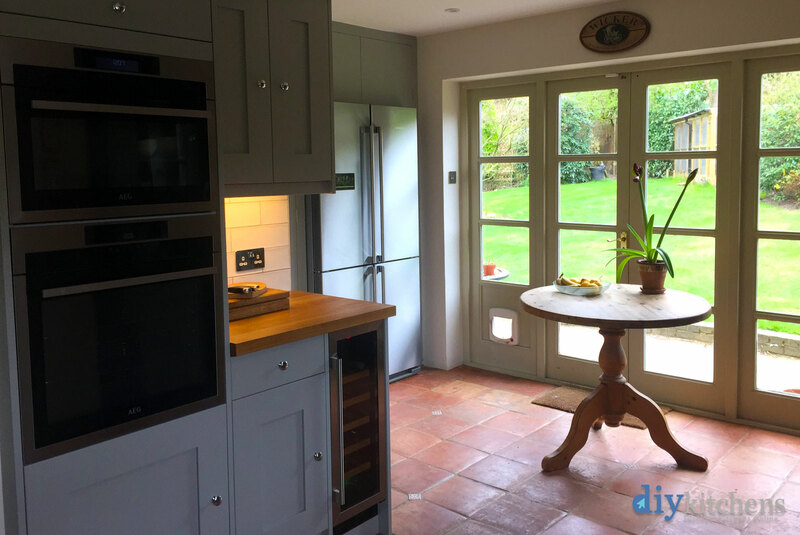 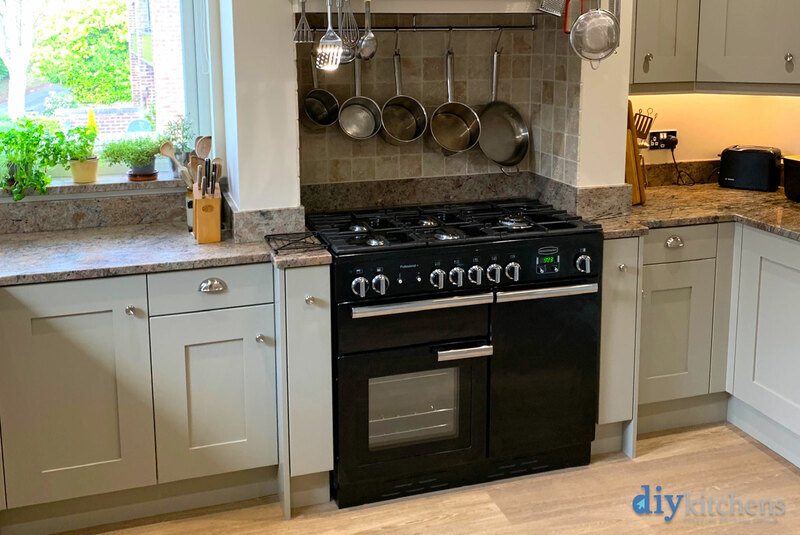 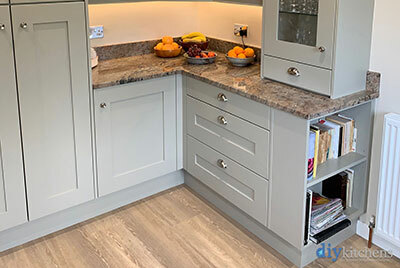 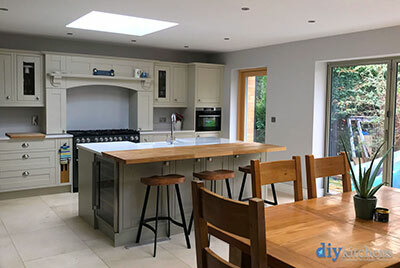 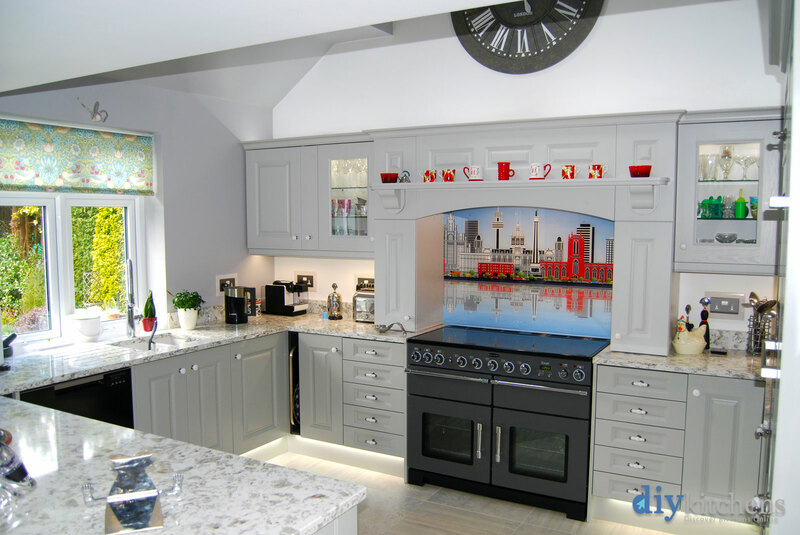 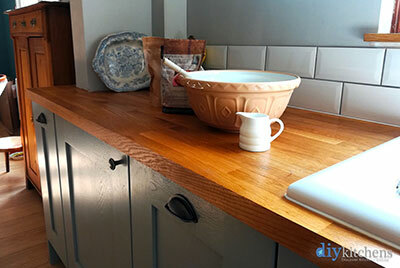 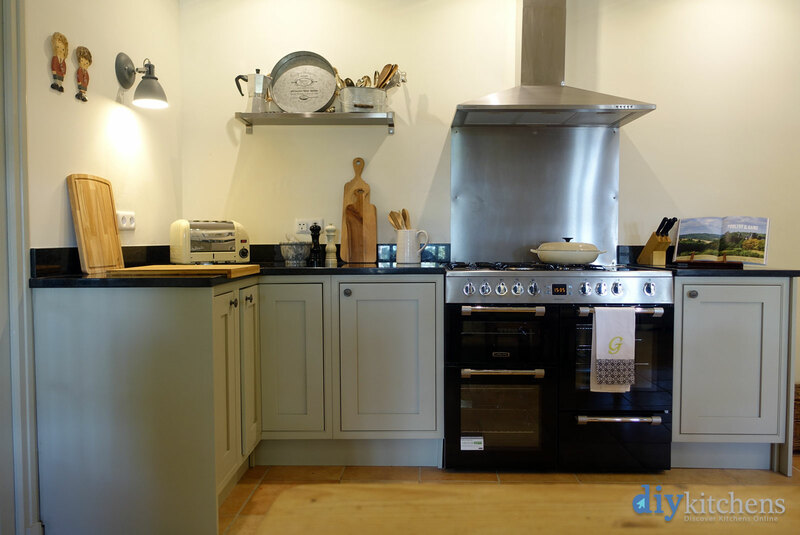 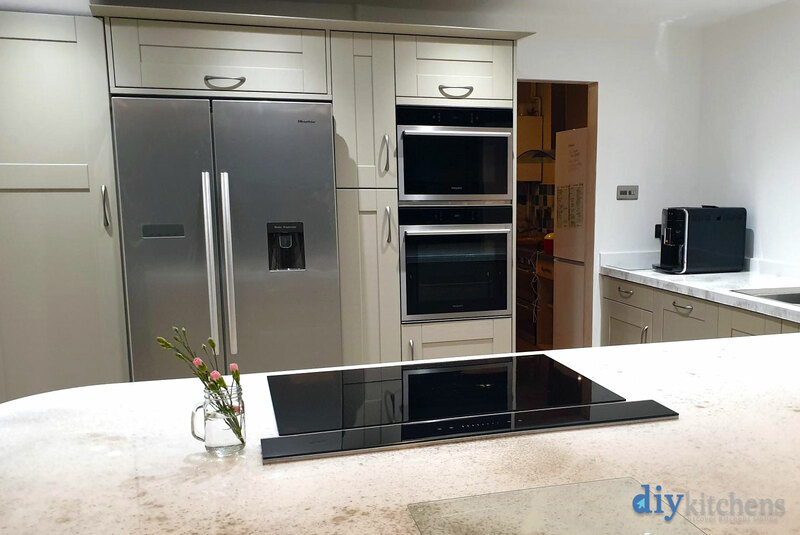 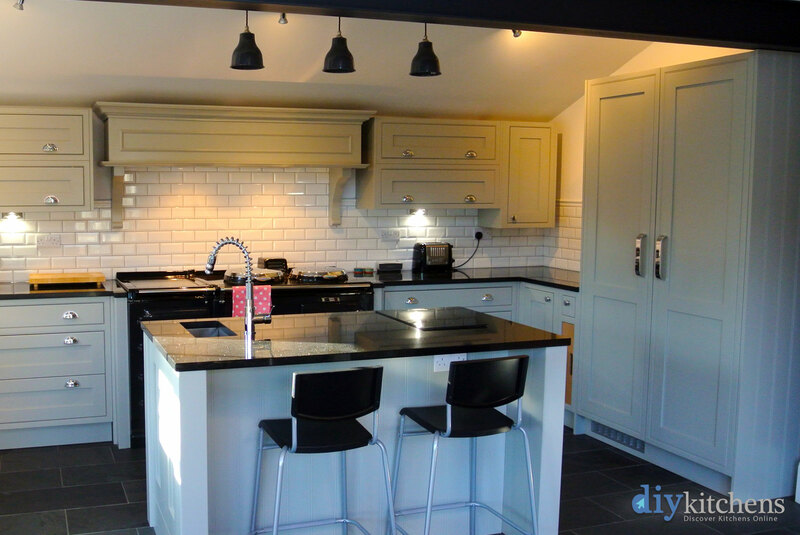 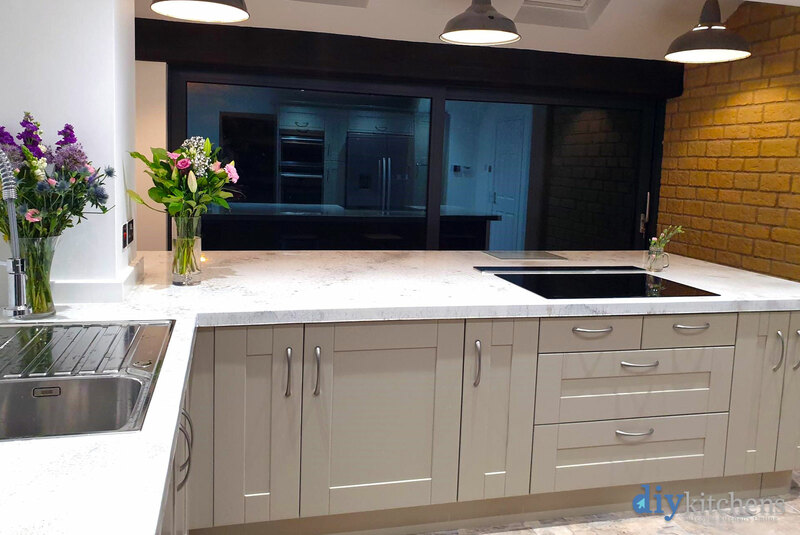 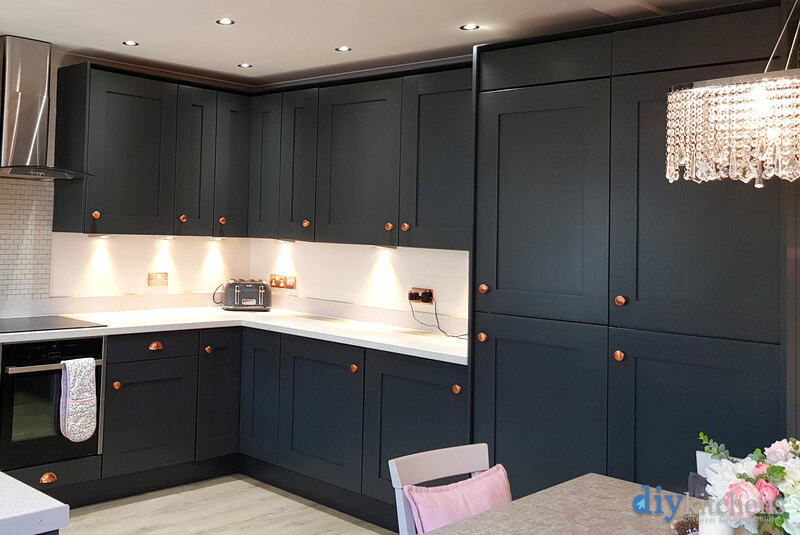 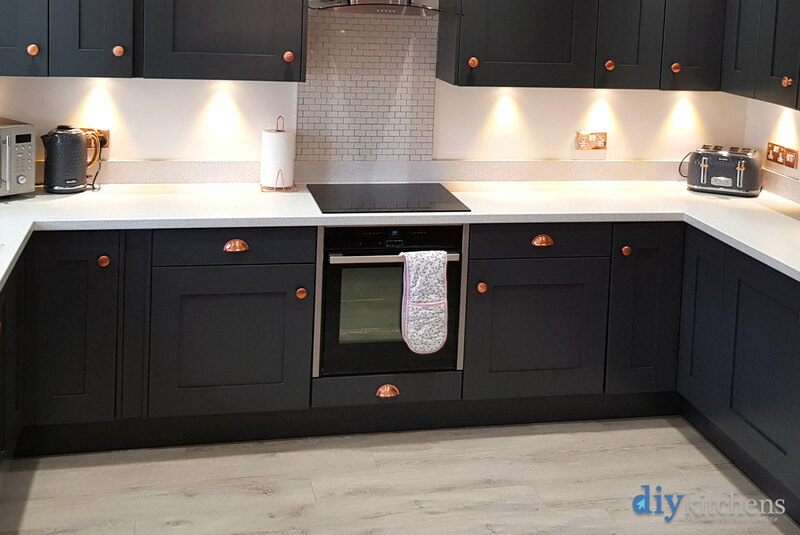 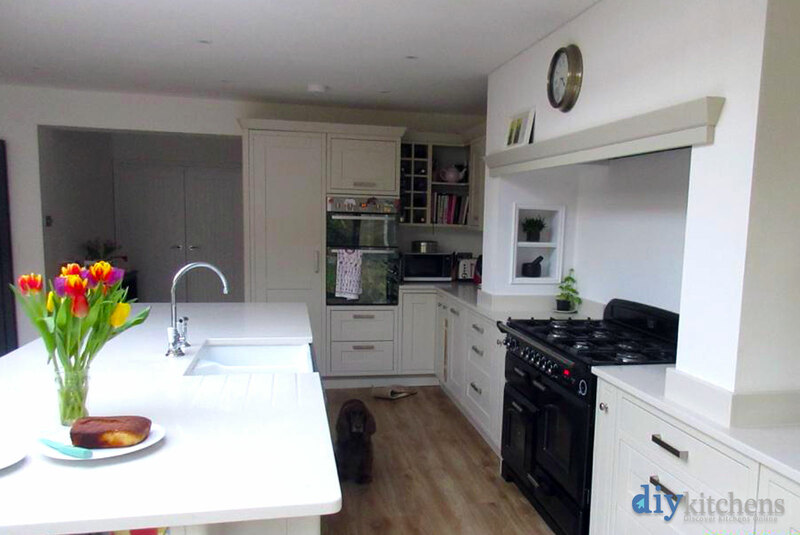 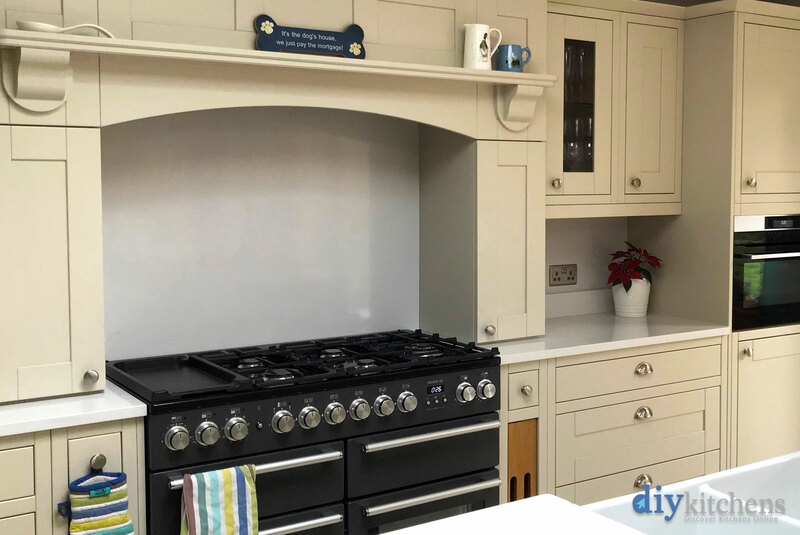 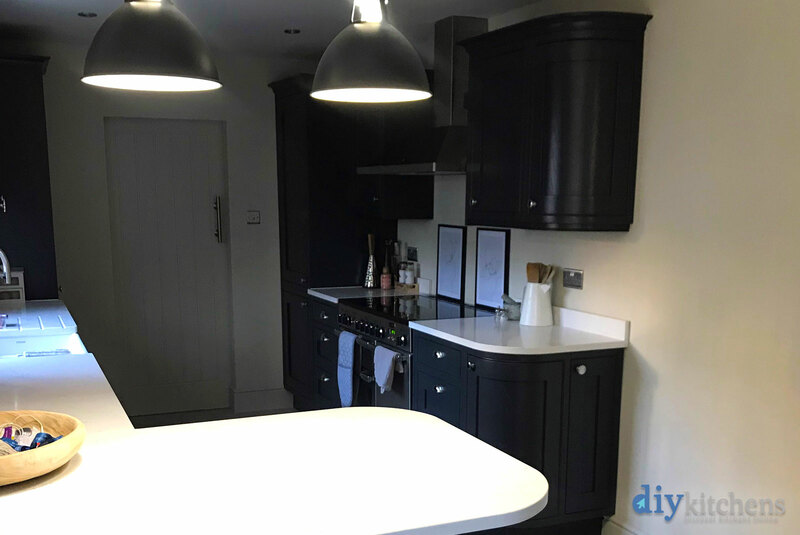 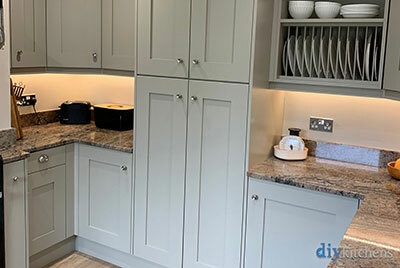 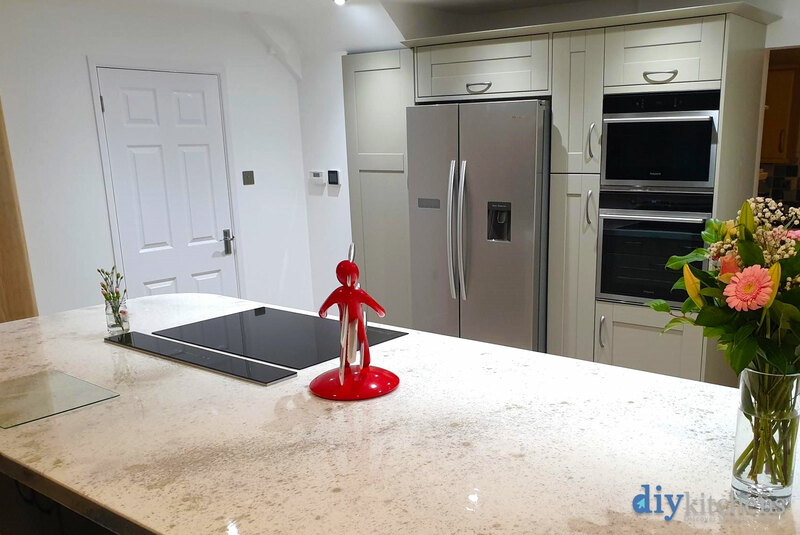 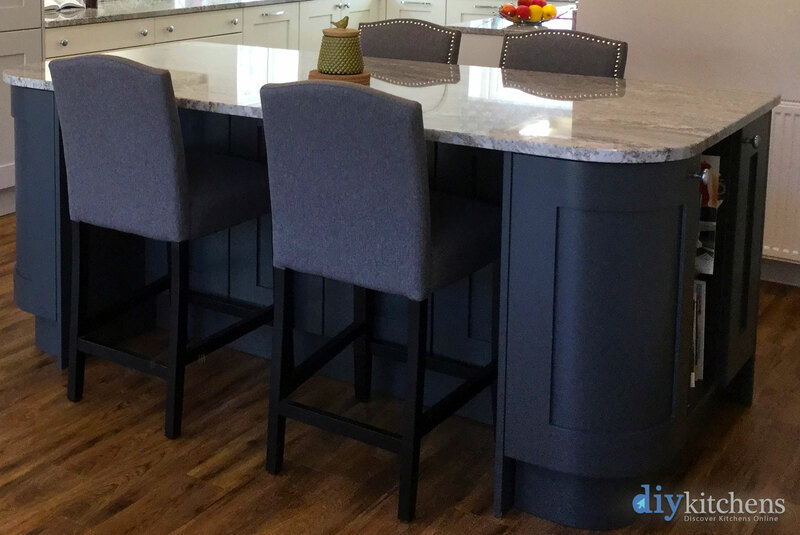 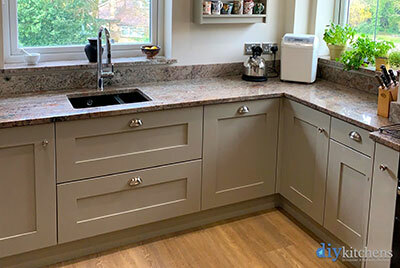 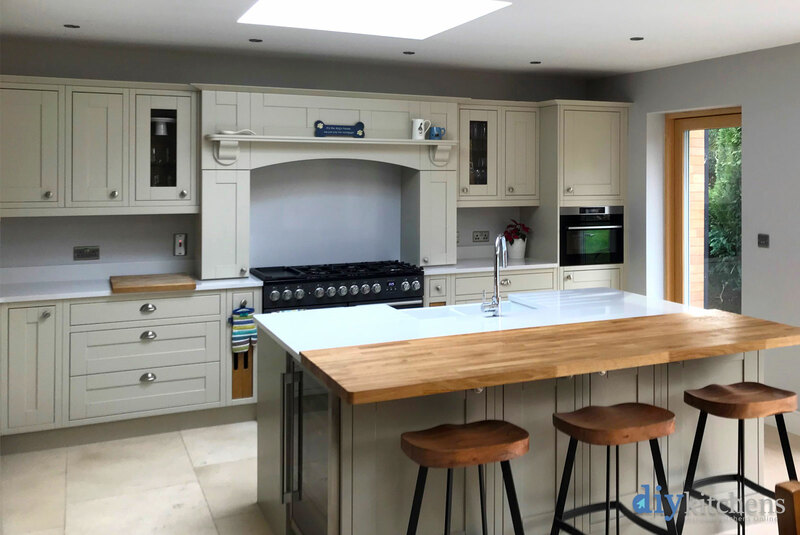 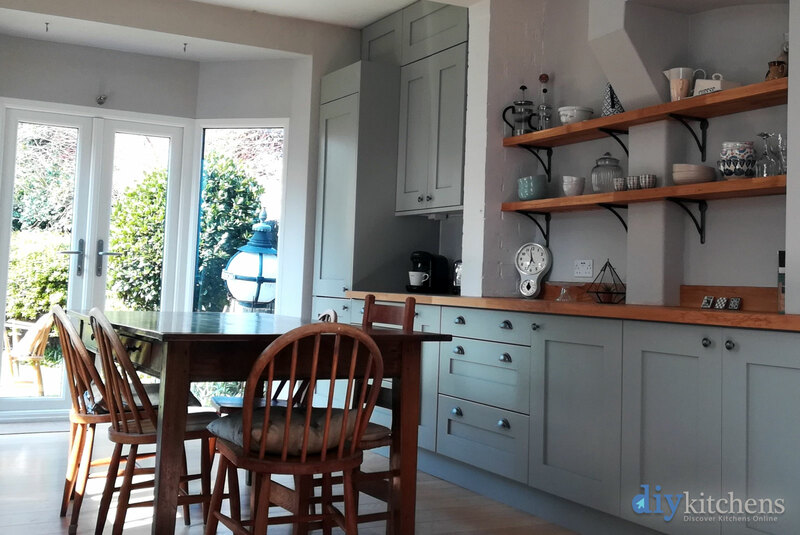 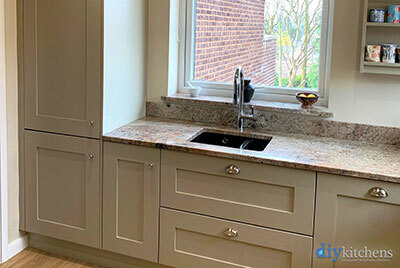 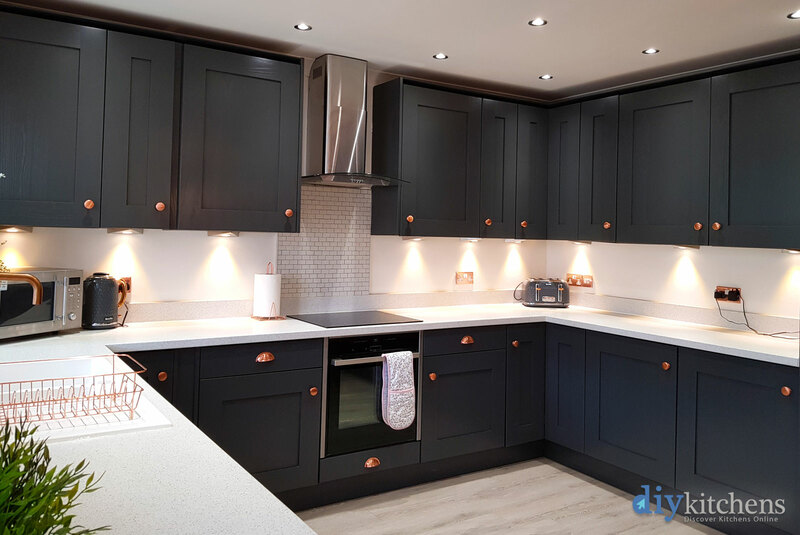 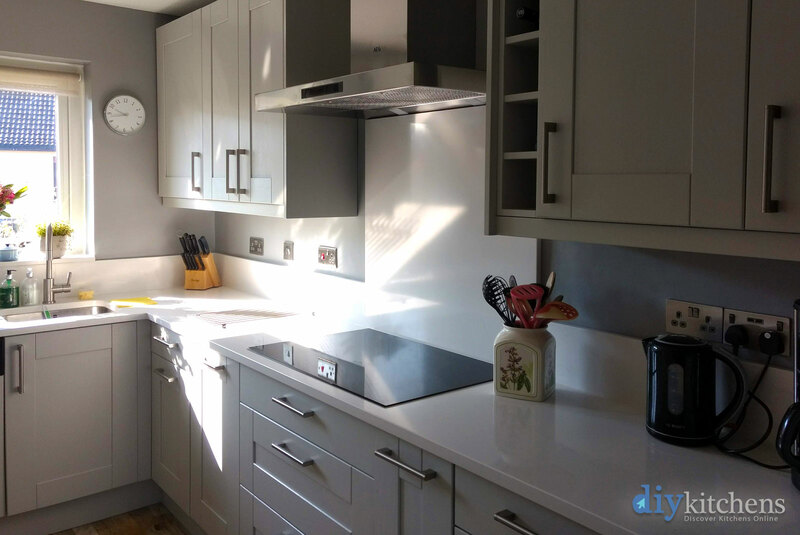 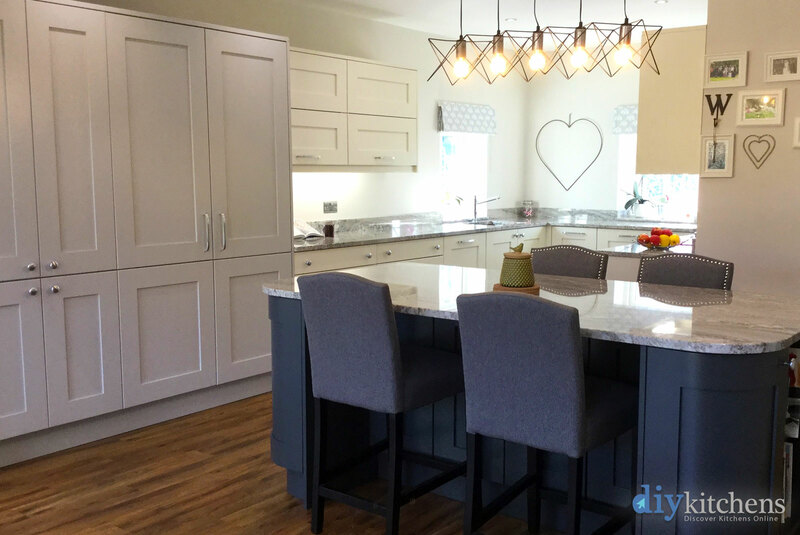 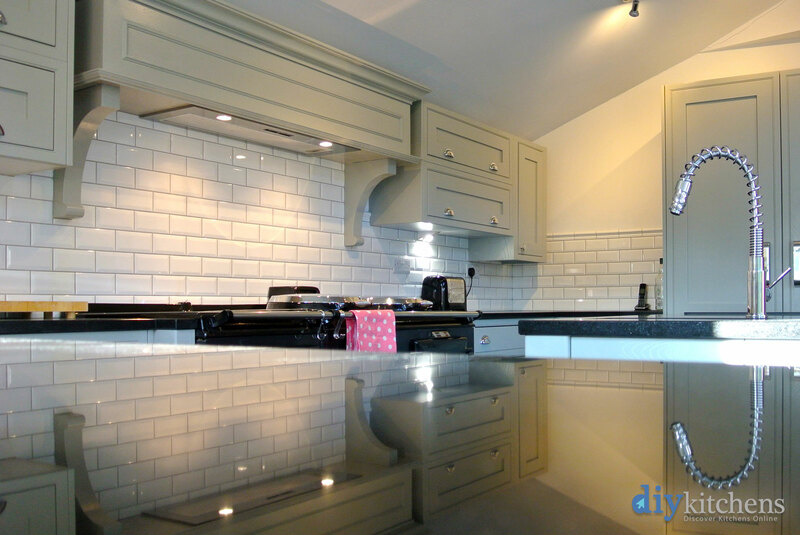 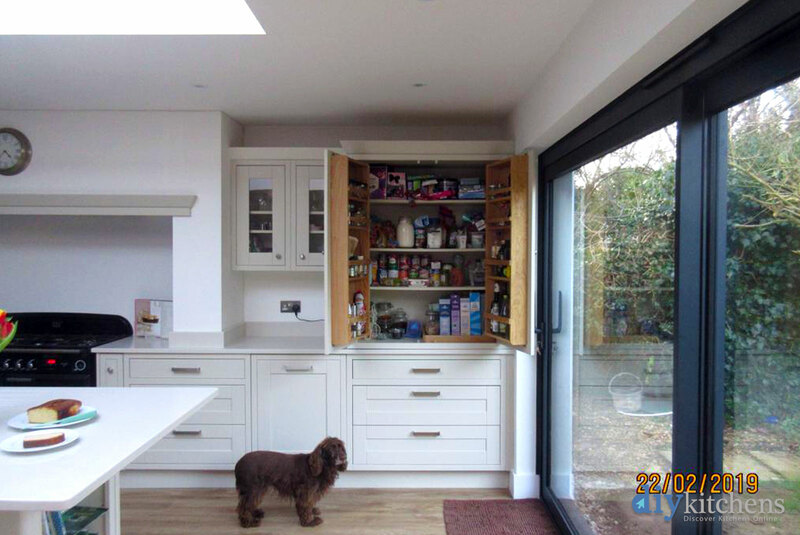 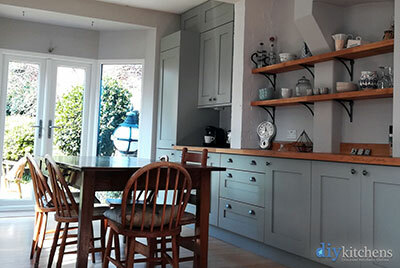 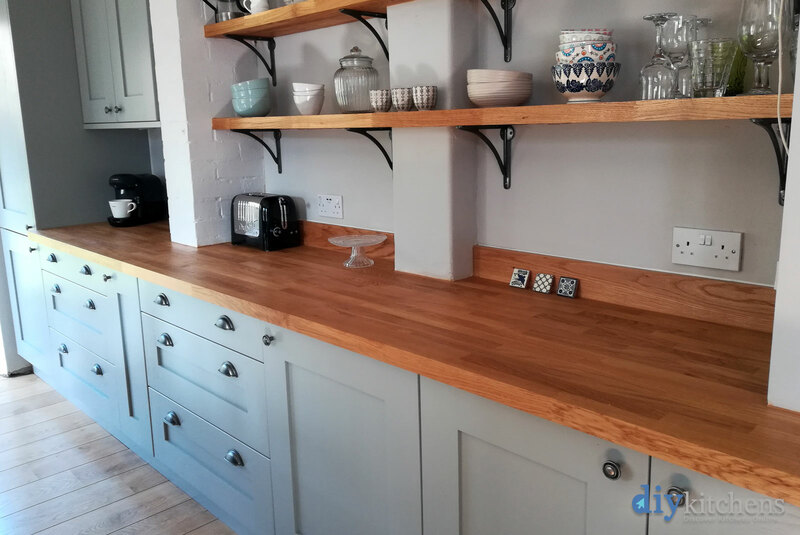 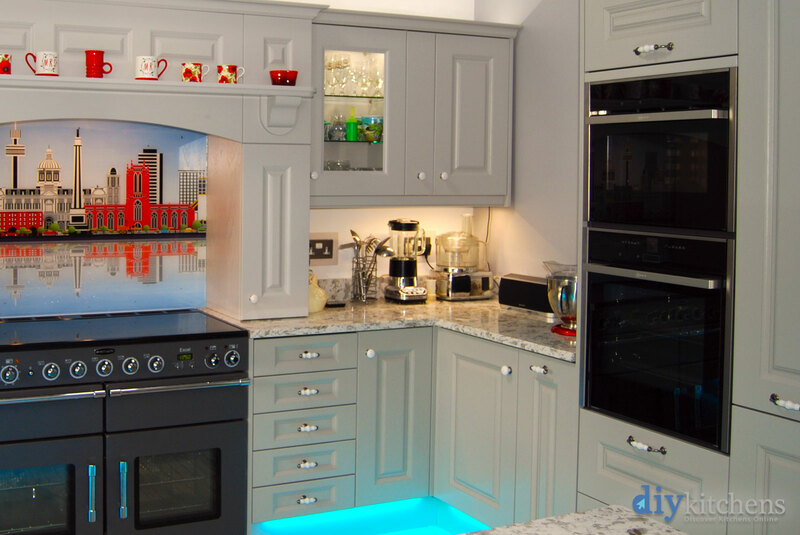 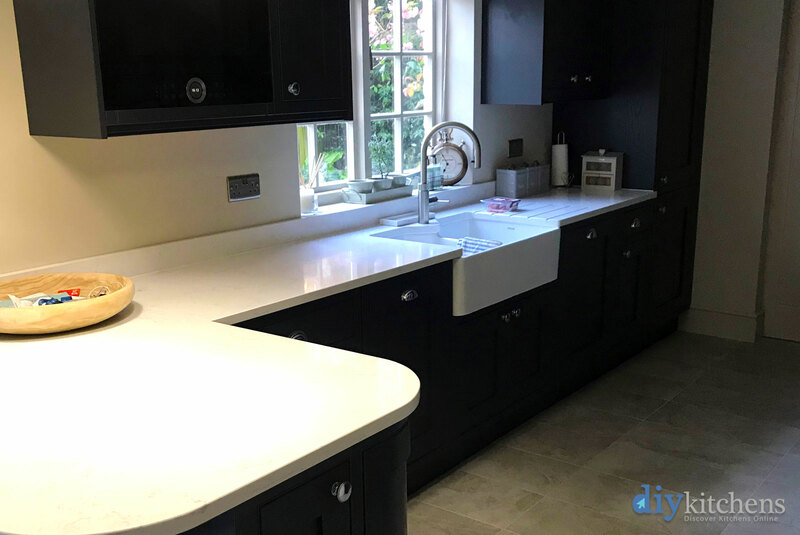 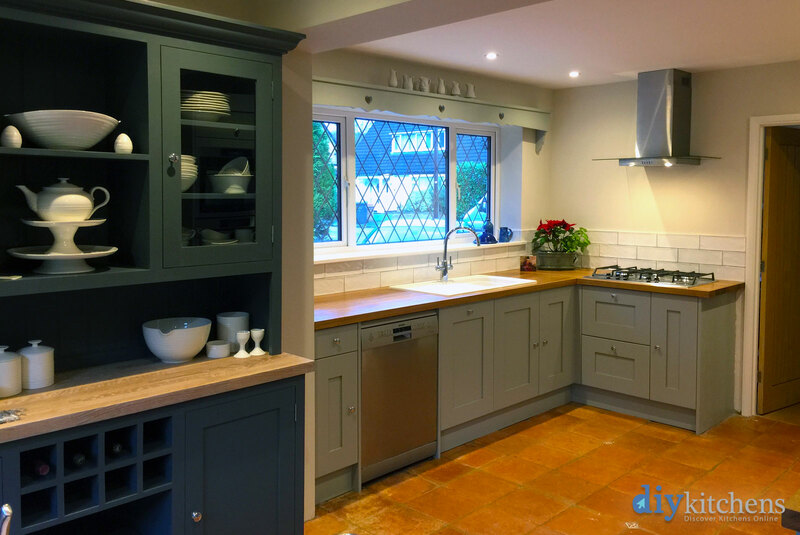 We completely love every aspect of our new kitchen and we have already recommended and will continue to recommend DIY Kitchens."